HOW MUCH: $15 at the door / $12 in advance - AVAIL NOW HERE! FOR WHO: Usually for adults, but the humor is usually fine for young adults. Profanity + lewd humor make appearances from time to time. This is not a puppet show for littles, so get a sitter! Beady Little Eyes once again brings short-form puppetry to a whole new level. If you think you know what a puppet show is, you have no idea. These shows will feature 8 short puppet acts by many different artists + a few short puppet films that are nothing like Sesame Street. 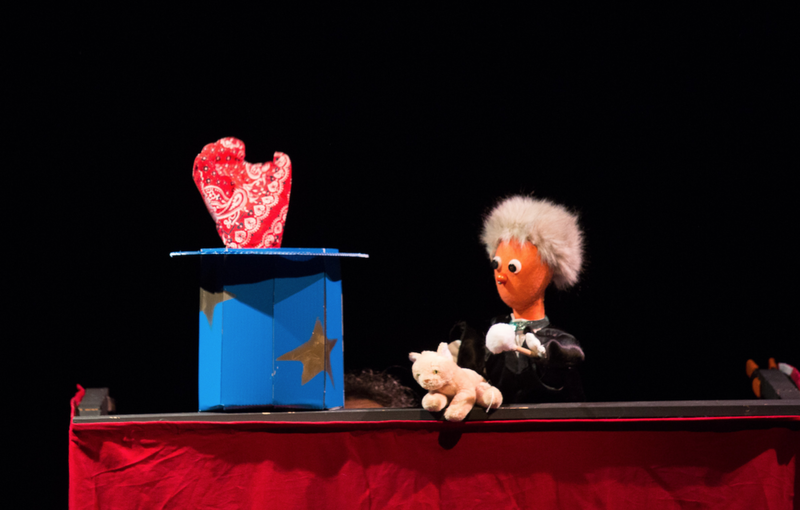 Think Puppet Cabaret Show meets the Muppet Show but with (regrettably) fewer puns. This year we are featuring two amazing guest artists: Gavin Cummins from the Great Arizona Puppet Theater and Lyon Hill from the Columbia Marionette Theater in South Carolina. Prepare to see shows with a dark edge due to the time of year and the word "spooky" in the show title. Don't worry, you will also laugh your crocs / socks off. These shows are generally rated for an audience 18 + but many of them are okay for teens and mature kids. We make no promises not to curse or have lewd humor here or there. Booze and raffle tickets will make an appearance too. This is your chance to see puppetry from all over the country and its ONE WEEKEND ONLY! GUEST ARTISTS: Gavin Cummins from the Great Arizona Puppet Theater in Phoenix! Lyon Hill from the Columbia Marionette Theatre in South Carolina! GET TICKETS HERE RIGHT NOW! Please join our mailing list for more information about show times, ticketing links and guest artists as information becomes available!